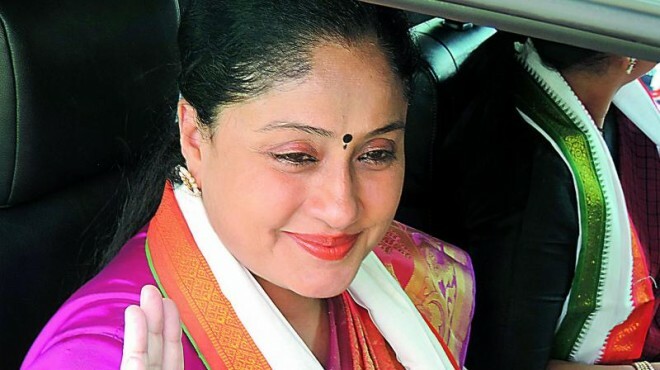 Nizamabad, Apr 08: Congress star campaigner Vijayashanti on Saturday made fun of the TRS by saying that while Uttar Pradesh, with its 60 Lok Sabha seats, was incapable of deciding who would be the Prime Minister, the TRS with mere 16 seats was claiming to have a say in deciding who would be at the helm in the Parliament after the elections. Chief Minister and TRS president K. Chandrasekhar Rao is always trying to confuse the people, she said. Ms Vijayashanti said Mr Chandrasekhar Rao should stick to his words first and then think about national politics. National leaders are sharing dais with AP Chief Minister N. Chandrababu Naidu and many political forces are allying with the Congress, but nobody is showing interest in joining hands with Mr Rao, while he harped on about the Federal Front, she said. Ms Vijayashanti, however, admitted that the Congress in Telangana state was facing difficulties because of the TRS poaching its MLAs. "The Congress has faced difficult situations in the past too, but it has recouped successfully," she said.